Come and visit a building that has played many roles in the life of Braidwood. This was the first significant hotel in Braidwood, built in the 1840s as the Royal Hotel, of local granite with a shingle roof. James Larmer, the well-known early colonial surveyor had the licence and lived there in the latter part of his life. 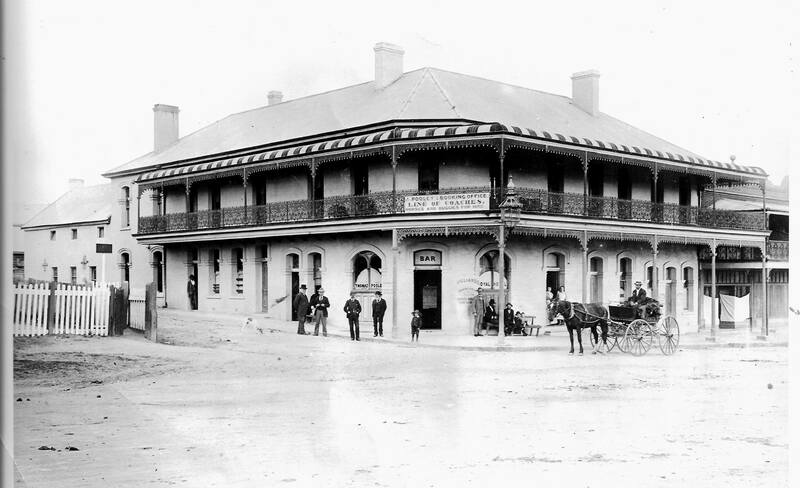 Later, in 1870, the hotel was sold to the Grand United Order of Oddfellows – Young Australia Branch No. 2012 NSW. The Oddfellows made additions to the building: they built in brick a large rectangular hall on the lower floor, joining the separate kitchen to the main building. Another hall was built upstairs above the lower one, and concerts and dances were held in this upper hall. For many years, the building was empty and later it was converted into flats. However, it was fortunate that the building was in good condition when the Historical Society purchased it in 1970. Over the intervening years, we have created a museum to preserve artifacts and photos that will tell the story of the people who have lived in the Braidwood district, and of significant events in Braidwood’s history. The building itself is part of that story. Over the intervening years, we have created a museum to preserve artifacts and photos that will tell the story of the people who have lived in the Braidwood district, and of significant events in Braidwood’s history. The building itself is part of that story. The Braidwood and District Historical Society was founded in 1970. We encourage the study of the history of Braidwood and district and promote and undertake the preservation, storage and display of artefacts and records of historical interest. We promote and publish historical works and studies related to the area and foster the sharing of information through lectures, readings, discussions, excursions and exhibitions. We celebrate, protect and share the heritage of the region. We own and run the Braidwood Museum which holds a rich collection of objects and archives. Our researchers assist with family history enquiries and we sell a large selection of books relevant to the area.